In this file photo taken by the U.S National Guard in 2012, a U.S. Forest Service aircraft breaks away as a Modular Airborne Firefighting System-equipped C-130 begins dropping retardant on a section of the Waldo Canyon fire near Colorado Springs. A growing wildfire in Colorado has destroyed more than 100 homes as the dry season keeps many parts of the western US under evacuation orders due to possible wildfire outbreaks. The spreading blaze, known as the “Spring Fire”, is one of six large wildfires burning in Colorado and, as of writing, the largest at 94,125 acres. It is also the third largest in Colorado history. On Monday, authorities announced that a fire in Fort Garland, some 205 miles southwest of Denver, had destroyed more than a hundred homes in a mountain housing development started by Malcolm Forbes in the 1970s. The number of damaged structures is expected to rise as the burned-out area is surveyed. While the other fires are thought to have been started by lightning, investigators believe the Spring Fire was started by a spark from a fire pit. The Costilla County Sheriff’s office have arrested a man on arson charges in connection with the fire. According to the arrest affidavit, Jesper Jorgensen, 52, used a fire pit the night before the fire, which was used to cook meat for several hours. 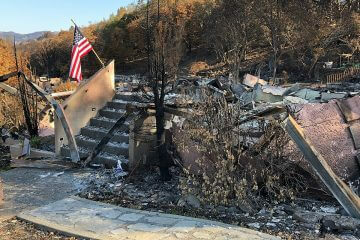 On the day of the fire, Jorgensen woke up to the smell of smoke and saw the flames not far from his fire pit. The National Interagency Fire Center says 60 other large active blazes have been burning in other Western states, including nine in New Mexico and six each in Utah and California. 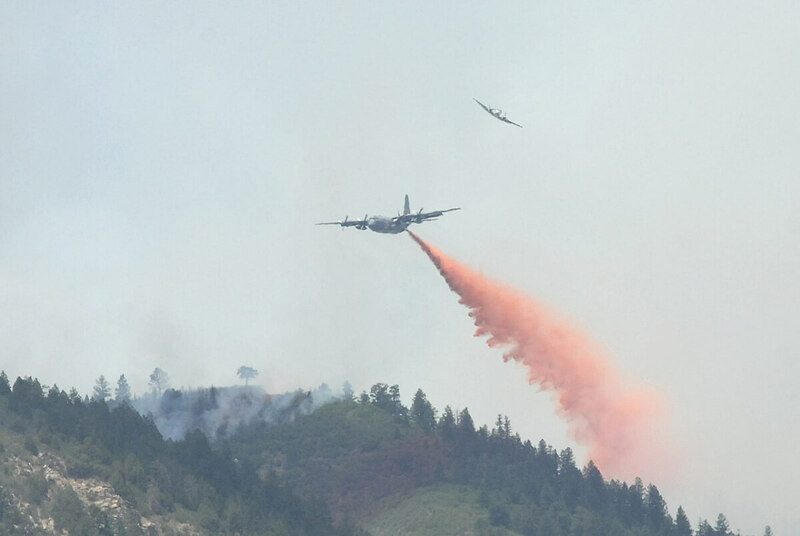 Utah authorities have evacuated up to 300 homes because of a wildfire creeping near a fishing reservoir southeast of Salt Lake City. A northern California fire, fueled by high winds, continues to send thick plumes of smoke and ash, prompting authorities to cancel Independence Day programs and urge people to stay indoors. In Arizona, large areas of national forests had to be closed down before Memorial Day due to fire risks. New Mexico has also closed at least parts of three national forests because of the threat of wildfire. Colorado authorities have issued evacuation orders to the towns of Gardner, Chama, Redwing, Malachite and Badito, south of Highway 69. Mandatory evacuation orders have also been issued to everyone in the area north of, and on both sides of County Road 362, south to the Huerfano County Line. As of the morning of July 4, the incident command team has said that the Spring Fire is only 5 percent contained. If you’re in an area that’s at great risk to wildfire, be careful with flammable materials and smoking or starting a fire outdoors and be prepared to evacuate at a moment’s notice. Coordinate closely with family members and be on the lookout for information about road closures, evacuation zones and the latest news about active and developing fires.